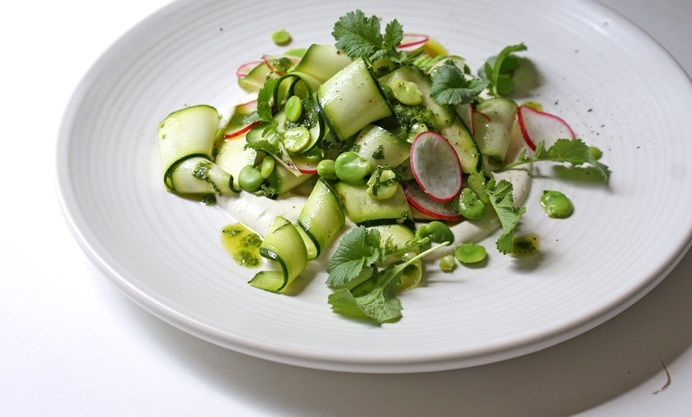 Joey O'Hare served a summery courgette salad with a creamy vegan labneh recipe, radish top sauce and broad beans in a minty, bright dish that is full of flavours fit for a sunny day. The dressing here is a take on a ‘salsa verde’, which makes use of the radish leaves. Use the larger radish leaves in the sauce, and the smaller ones to garnish – their flavour is beautiful, refreshing and peppery. I’d lovingly grown these radishes myself, and couldn’t bear to waste an inch of them – hence the nose-to-tail, zero-waste approach! 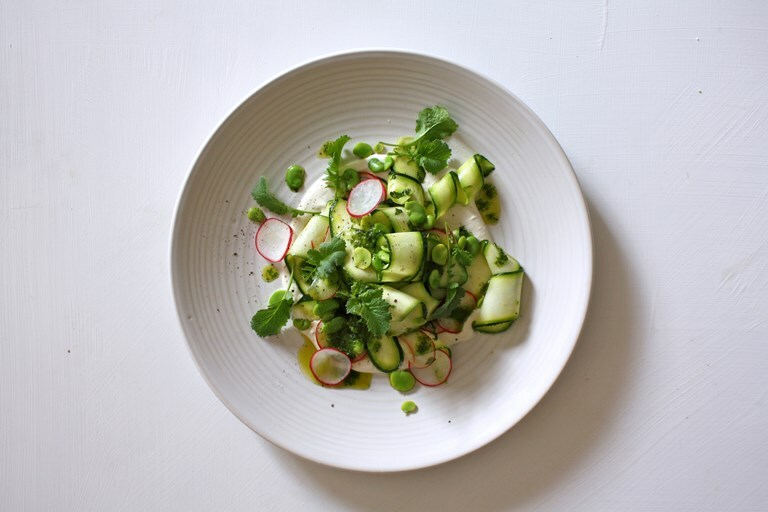 The salad itself is crunchy, zingy and wonderfully fresh thanks to the mint running through the courgette ribbons, and radish top sauce drizzled on top. It makes a beautiful contrast to the cool, creamy and tangy vegan labneh. Holding the sliced radish in iced water for a few minutes before serving maximizes the crunchy texture enormously. This salad is best served slightly chilled.